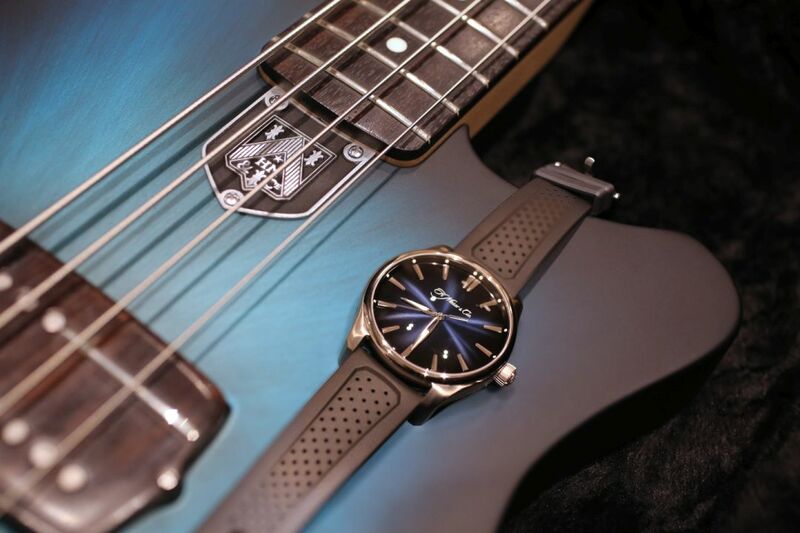 Funky Blue: the boldest fumé dial colour from H. Moser & Cie. now features on a bass guitar gifted to U2 bassist, Adam Clayton. The story begins with a meeting between Laurent Picciotto, founder of Chronopassion, Edouard Meylan, CEO of H. Moser & Cie. and the team at Wild Customs, a guitar workshop run by enthusiasts whose slight craziness belies their supreme talent. 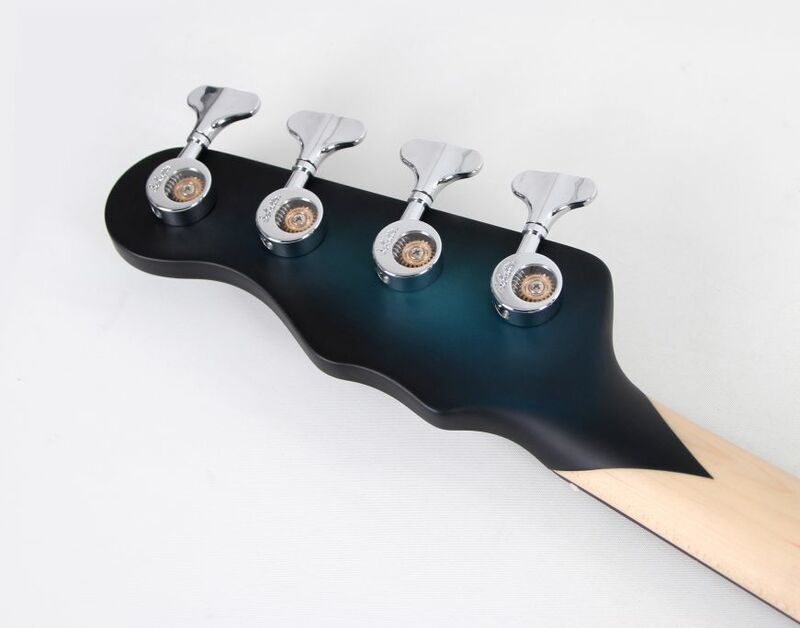 United by a shared passion for music and fine watchmaking, they came up with the idea of creating a bespoke musical instrument as a gift for Adam Clayton. 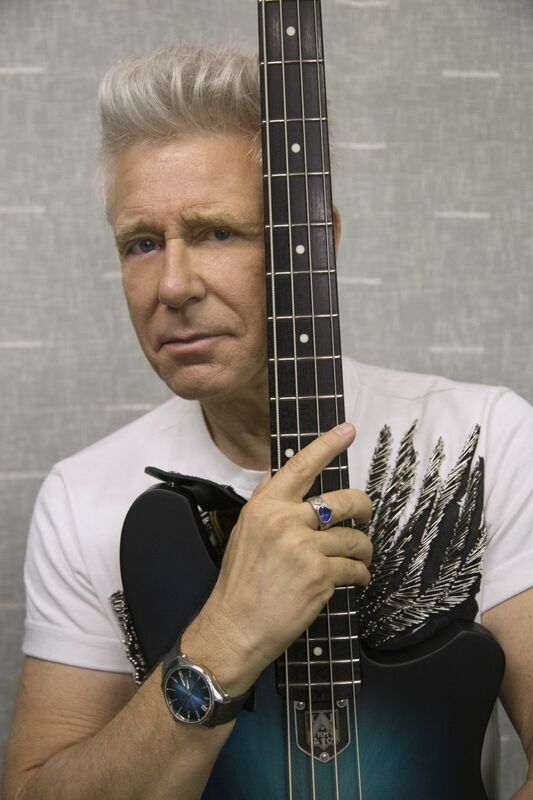 Fusing two worlds, this electric bass links rock culture with the mechanical watch tradition two of Adam Clayton's passions. 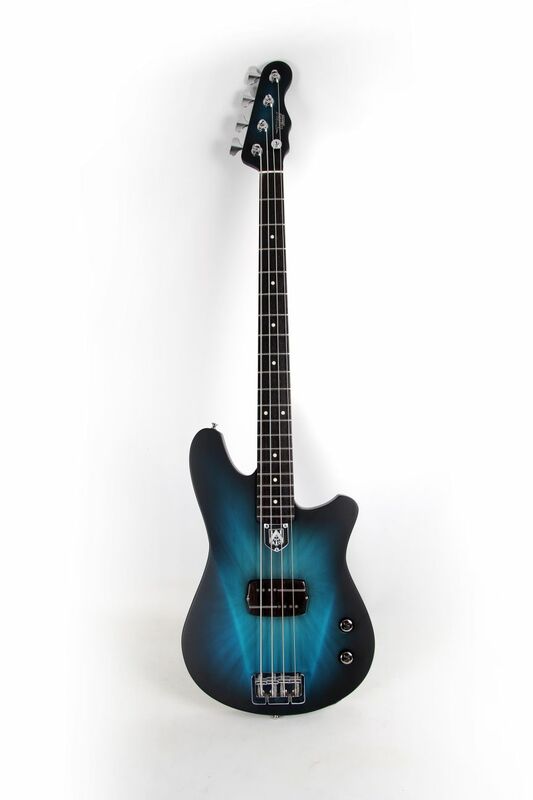 When U2 were in Paris this summer, Edouard Meylan and Laurent Picciotto presented Adam Clayton with the bass specially created for him as a gift by the craftsmen at Wild Customs. 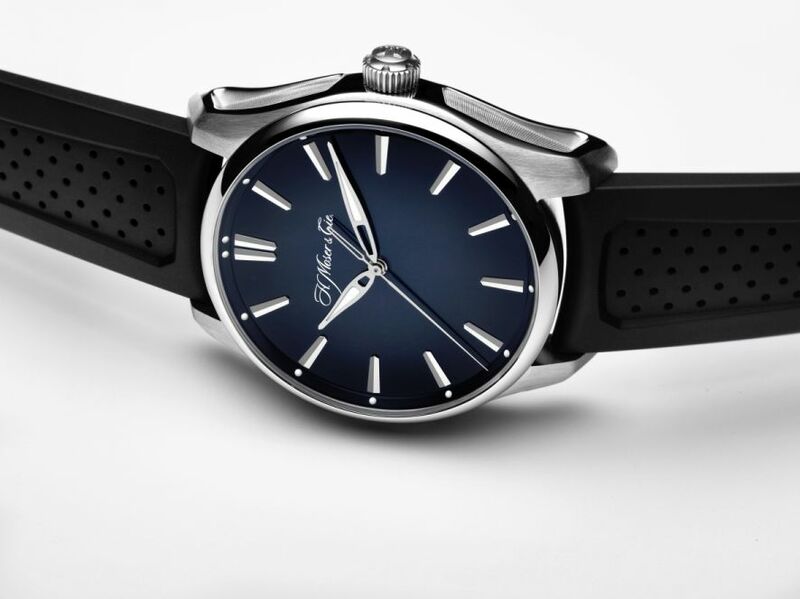 Finished in the magnificent Funky Blue seen on H. Moser & Cie. fumé dials, this unique instrument features multiple references to the pared-down and elegant style of the Schaffhausen-based Manufacture. "Understatement and refinement were the keywords that guided us throughout this project, allowing us to take inspiration from the H. Moser & Cie. aesthetic while staying as true as possible to Adam Clayton's personality, all with a certain restraint," explains Blaise Rodier, one of the founders of Wild Customs. 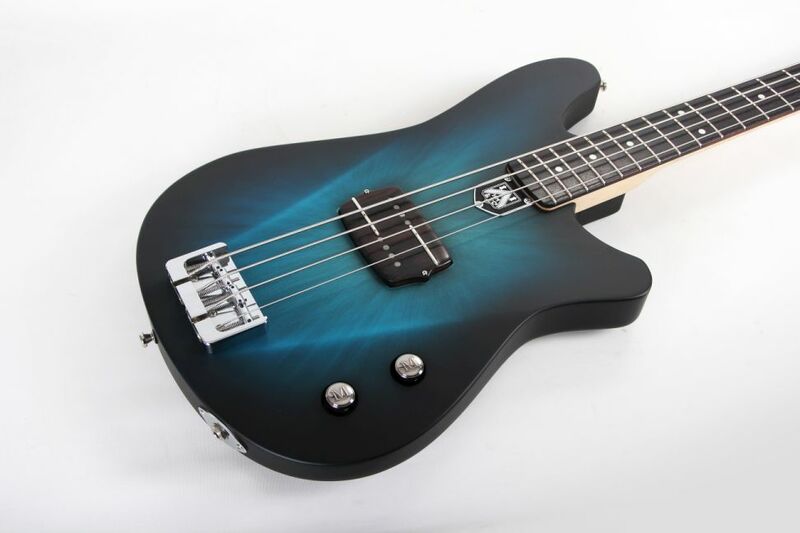 "We then let our imaginations run free, resulting in a bass featuring a host of subtle references to fine watchmaking." Paying particular attention to detail which makes all the difference in fine watchmaking the master luthiers selected high-end hardware in keeping with the spirit of the instrument. 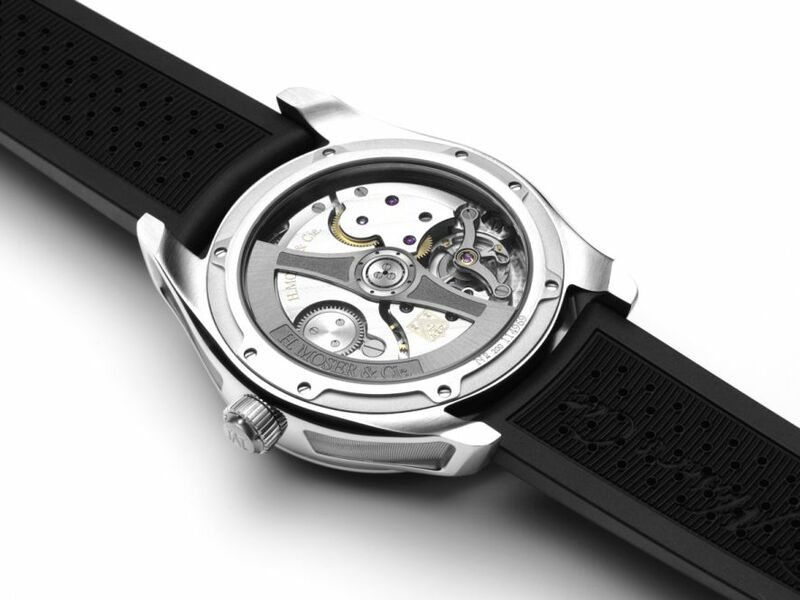 In a nod to the open sapphire case-backs that reveal the movement, the Schaller open gears are visible through elegant transparent glass. The knobs are finely engraved with the "M" found on the crown of H. Moser & Cie. watches. At the base of the neck sits a plate engraved with the H. Moser company hallmark, giving the instrument its signature. 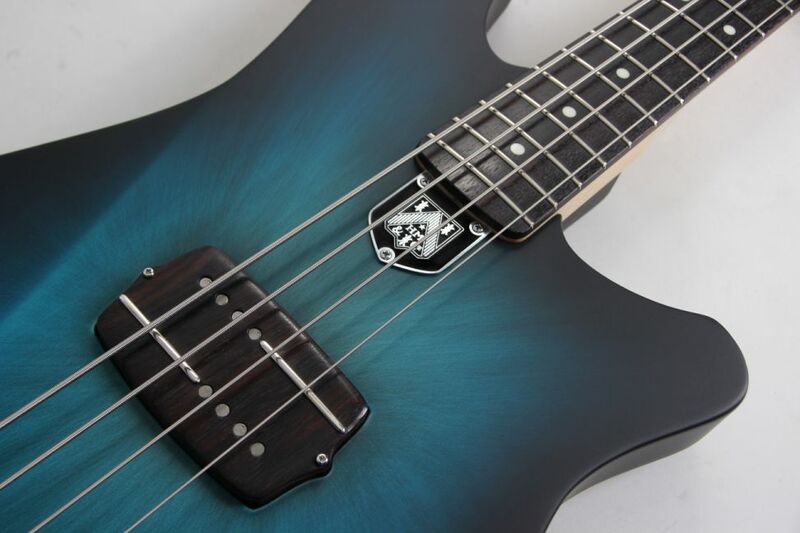 Often neglected on standard instruments, the wiring and electronics on this bass received particularly careful treatment. The pickups, naturally hand wound, are housed inside a custom pickup cover in exotic wood, in homage to the vintage Hi-Fi systems of the '60s and '70s. The electronic accessories feature a brushed finish and are recessed in an understated, elegant cavity whose unusual shape recalls those of H. Moser & Cie. cases.